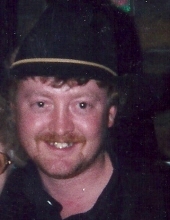 David Keith Hanner, 48 of Seymour, Indiana passed away Wednesday April 10, 2019. Born December 25, 1970 in Seymour, he was the son of Nolan Keith and Patsy Ann (Charles) Hanner. David worked at Walmart Distribution Center for many years, he also worked at Russell Stover’s. He enjoyed fishing, mushroom hunting and riding four wheelers. He loved bluegrass music, drinking beer and spending time with his friends and family. He is survived by his parents Nolan and Patsy of Seymour; his sister, Elizabeth Stella Spellman of Seymour; his nephew Christopher Lee Spellman; his niece Christian Tucker and husband Johnny; one great nephew J.J. Tucker and several aunts, uncles and cousins. To send flowers or a remembrance gift to the family of David Keith Hanner, please visit our Tribute Store. "Email Address" would like to share the life celebration of David Keith Hanner. Click on the "link" to go to share a favorite memory or leave a condolence message for the family.